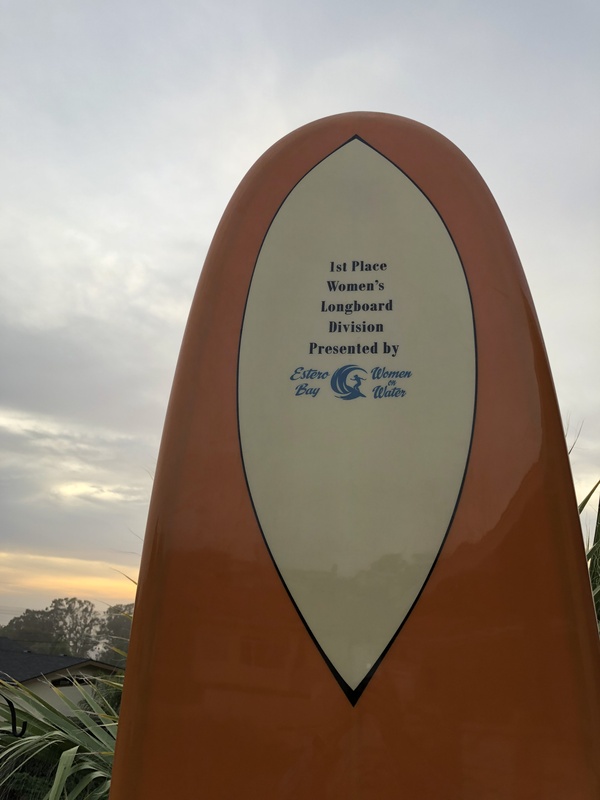 The 28th Annual Big, Bad & Ugly surfing event is coming up next month, February 17-18, 2018. I wanted it so any girl or woman of any age has a chance to win it. Winner will be determined by highest scoring Session of the Meet, (two wave) in either a heat, quarter, semi or final. Only females riding 8′ or longer traditional surfboard, no foils, wings or gadgets. You must beat the previous high score. There will be no tie scores. The board comes with a Stay Covered Bag, three fins, three cakes of wax. 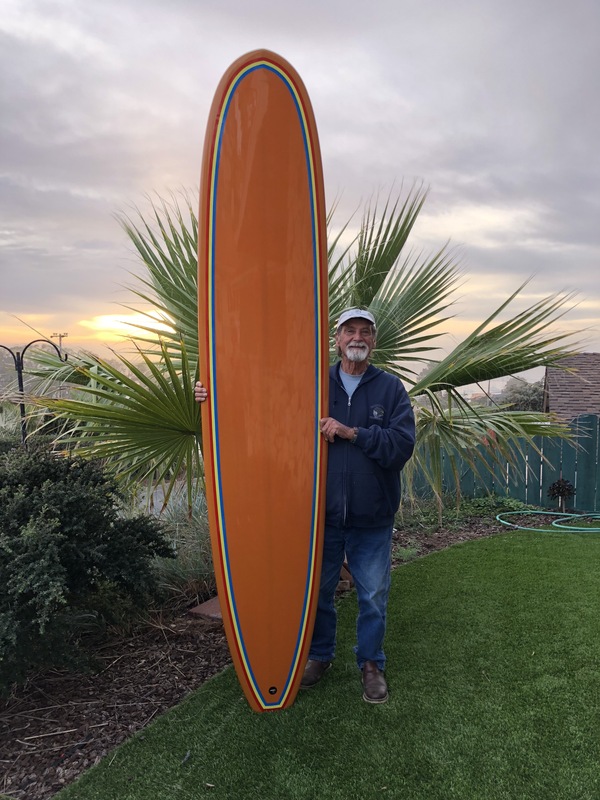 The board is on display at Pizza Port Restaurant, 787 Main St., Morro Bay CA 93442. We would love for you to compete. Calling a local gals, 8 to 80! This entry was posted in Groms, surf contest and tagged Big Bad and Ugly, Joe's Surfboard Shop, Stay Covered. Bookmark the permalink.